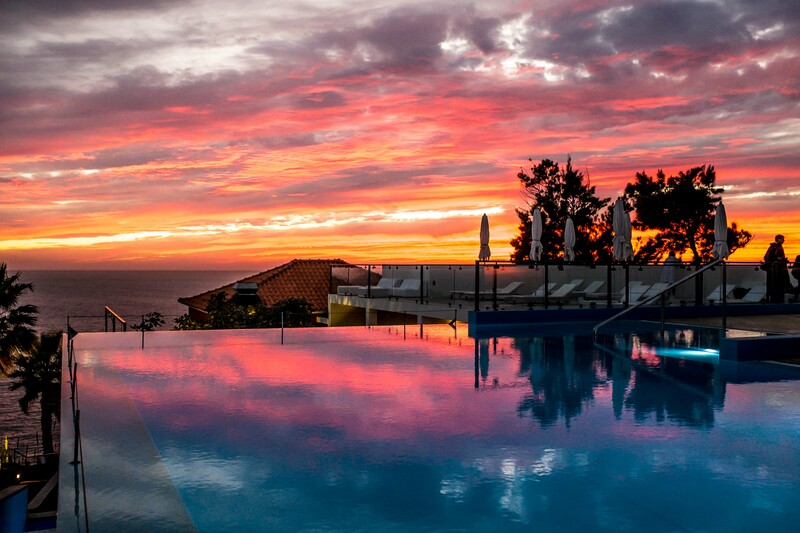 Michael Rosen, the lead organiser of the Madeiradig experimental music festival on the Portuguese island of Madeira, is sitting on the balcony of a hotel bar, situated on a cliffside overlooking the Atlantic Ocean. It feels a million miles from a typical festival experience, drenched in a cocktail of rain, sweat and mud. It feels a million miles from anywhere. 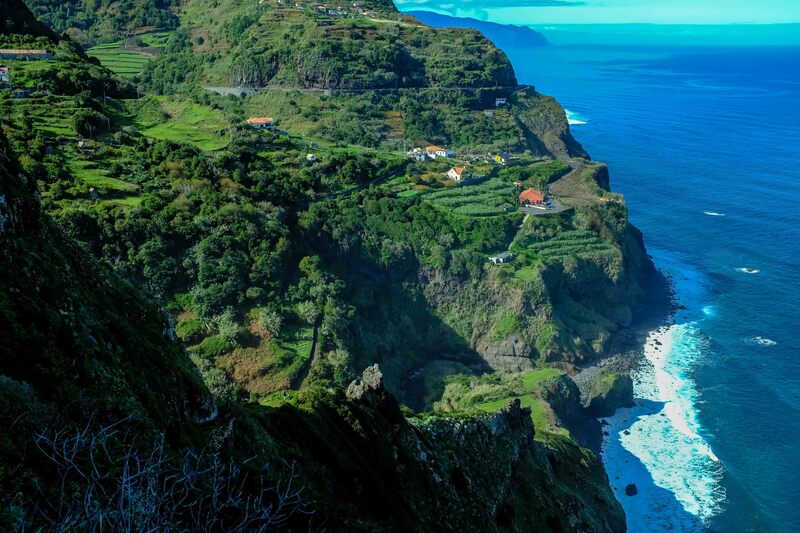 The village of Ponta do Sol, where most of the festival guests stay, nestles in the mouth of a tall, deep valley. The main organisational hub of the festival's activities, the hotel Estalagem da Ponta do Sol, is a particularly striking, looking almost as if it has been carved out of the cliffsides, visible from the road only by the thin, concrete elevator shaft that rises skywards out of the rock towards the hotel proper. The main festival programme is limited to two shows an evening, held at an arts centre a short coach ride away, while the Estalagem hosts after-parties with DJs and live acts into the morning every night. The opening Friday night of the festival opens with a spacious, ambient set by Portuguese sound artists Rui P. Andrade & Aires, which is followed by the anarchic, chaotic death disco of Finnish duo Amnesia Scanner. 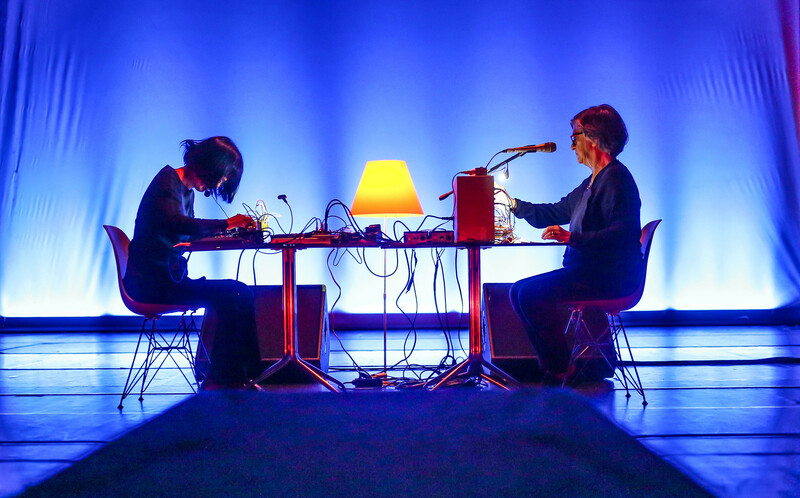 While Madeiradig’s programme all falls loosely under what most people would understand as experimental music, it’s clear through the choices of pairings that the organisers are keen to see different approaches rub up against each other. Saturday night opens with Polish cellist Resina, whose music builds around loops that draw from her instrument sounds variously eerie, percussive, beautiful and harsh. Set against this are video projections featuring an ever-shifting collage of animations and images exploring subjects such as war and the relationship between nature, civilisation, communication and technology. The theme of communication recurs more playfully in the lively and disorientating set by Ana da Silva and Phew, performing behind masses of electronic equipment and lit intimately by a single table lamp. Of all the artists at the festival, Phew has travelled by far the furthest to be there, having arrived from Japan on the first day, while da Silva is revisiting the island where she was born. This contrast between the two performers informs the performance, with each member delivering their vocals in the other’s language, adding their own unique and sometimes dissonant takes on the words. At one point, they pick up and loop what seem to be snatches of inter-song backchat and integrate that into the performance, reiterating the playful and intimate nature of the set. It's an approach that he follows with the “Kiezsalon” events he organises in Berlin as well, and in understanding Madeiradig, we really need to talk a bit about Berlin, since that's where not only othe organisers but the vast majority of the audience come from. Rosen describes the scene in Berlin as boring and fragmented, with events typically pandering to existing audiences, in the process reinforcing the divisions that separate scenes and genres. 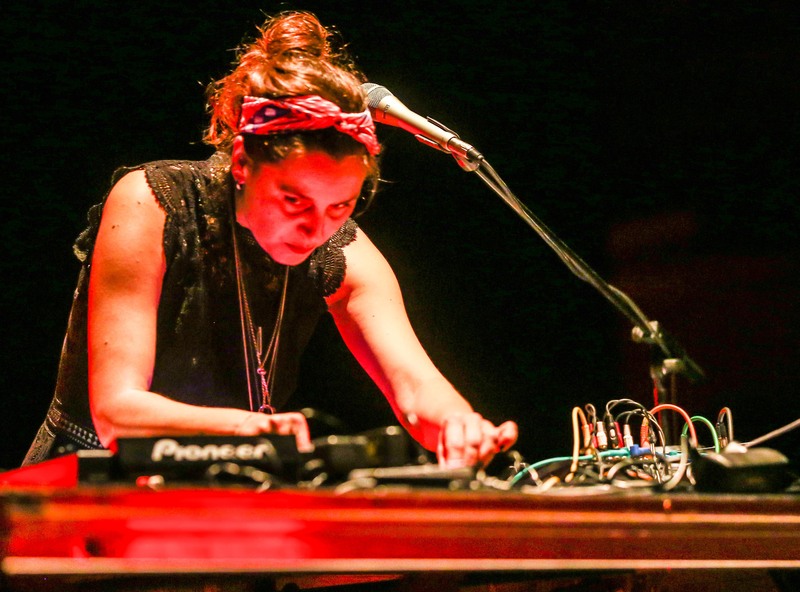 Austrian-based Slovenian musician Maja Osojnik echoes the point, saying that her adopted hometown of Vienna suffers from similar internal divisions in the music scene, with punk, experimental and the unique local “Wienerlied” folk style rarely interacting. Anyone who has spent much time immersed in the Tokyo indie and underground music scene will find their complaints immediately familiar. 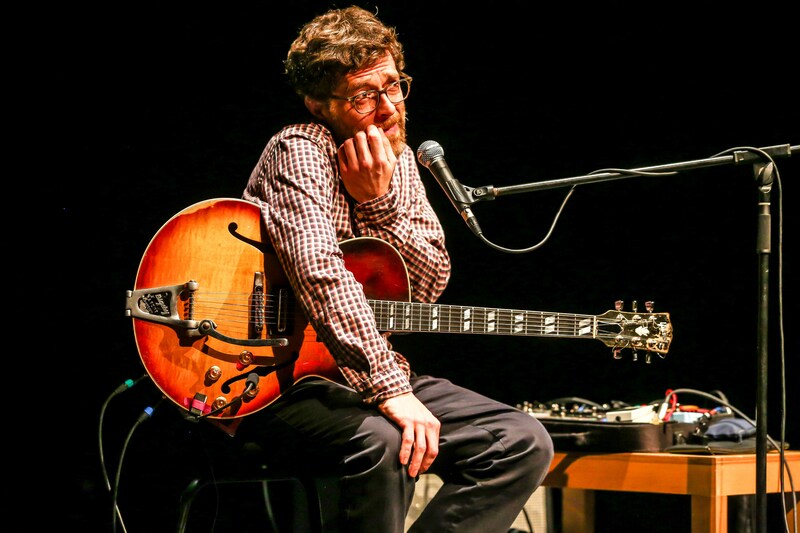 Maya Osojnik closed Sunday night after the rhythmically dislocated Nick Drake-via-Captain Beefheart jazz-folk of Paris-based Canadian musician Eric Chenaux. While Chenaux’ set was characterised by the way he would take conventionally pretty or beautiful musical ideas and then investigate multiply ways of knocking them off centre, Osojni's music layers element over element, not shying away from dissonance, but bringing them all together in the service of a single sonic narrative – what she sometimes calles a “dystopic diary”. Tones, drones and pulses build up to a hypnotic, industrial crescendo, Osojnik’s vocals ranging from richly intoned, almost medieval sounding singing to haranguing postpunk rage. Despite the many ways Madeiradig diverges from a traditional music festival, one way it is a traditional festival in a very real sense is in the way it creates a kind of alternate reality around its attendees. On the first day, there is a visible division between the rather intimidated-looking first-timers and the veterans who return every year, but the way the festival is organised very quickly fosters a sense of community among those present. Post-event food and after-party entertainment at the Estalagem da Ponta do Sol give us opportunities to interact, while the ritual of the coach trip to the main venue regularly hustles everyone together. 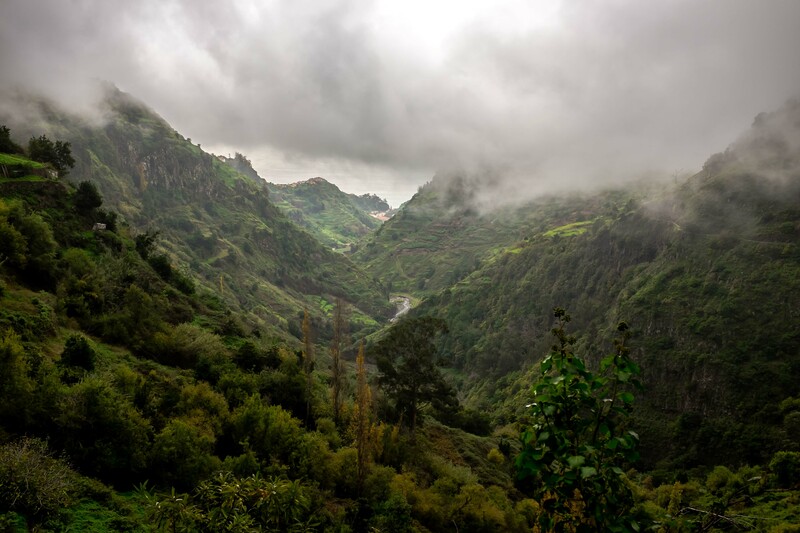 During the daytime, trips into the countryside and the main town of Funchal served the dual purpose of giving us chance to bond as a group and at the same time breaking us out of the hotel-venue bubble. The idea that to find beauty requires effort feels just as appropriate to music as it does to a landscape. The closing night of the festival opens with the fragile, fractal violin of Canadian artist Jessica Moss, who, like many artists at Madeiradig uses loops to build layers, textures and patterns (and patterns within patterns) in her music. 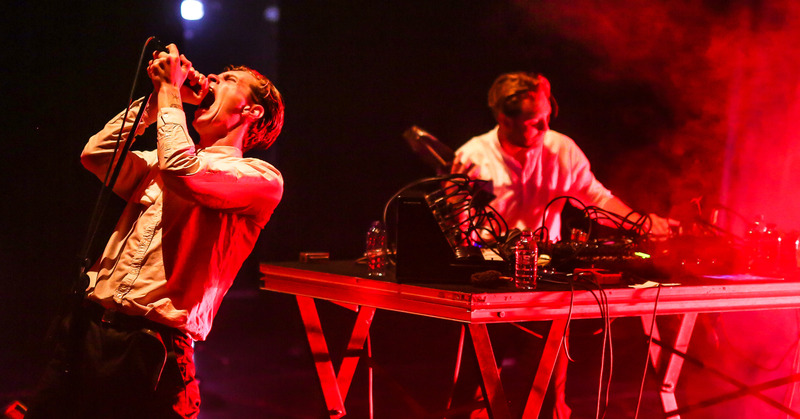 She is followed by a raw blast of harsh noise, delivered by Danish duo Damien Dubrovnik, who stalk the stage like models from a Mormon menswear catalogue, pummeling the theatre with sonic terror. While Madeiradig undoubtedly wants its audience to work for the beauty it gives a stage to, there is always a danger with experimental music events in general, and exotic “destination festivals” in particular, that they put up the wrong kinds of barriers to participation. It's easy to imagine a similar event in Japan being priced far out of the ability of any but the most dedicated fans to access, and that in turn feeds the fragmentation of the music scene and contributes to the cultural hollowing-out of much of rural Japan. Madeiradig is remarkably cheap (a festival ticket costs about ¥8,000 for four days, and the hotels are also kept very reasonable) and I don't think it's unfair to say that it would never be able to function without the arts funding model that ensures European arts aren't left solely at the mercy of the market. Rosen is aware of this situation, and adamant that an event offering difficult or unusual music needs to be as accessible as possible. “I want to reach people who have nothing to do with music,” he explains, recounting the story of a couple from Belgium who discovered the festival because of “a booking mistake” and ended up returning every year.